Gerard Eichman, MD, is board certified in cardiovascular disease, cardiac CT angiogram SCCT verification, nuclear cardiology, and internal medicine. He is a specialist in cardiovascular disease. 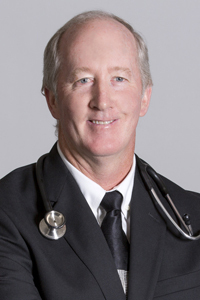 Dr. Eichman has been named a Top Doctor by Castle Connolly. Dr. Eichman has served as the Chief of the Cardiac Catheterization Lab at Holy Name Hospital. He is a member of the American Medical Association, as well as the New Jersey and Bergen County Medical Societies. Dr. Eichman is a fellow of the American College of Cardiology and a member of the Society of Nuclear Cardiology and the Society of Cardiac CT Angiography. Dr. Eichman earned his medical doctorate degree from Ross University where he graduated second in his class, achieving Dean's list honors. He completed his residency in internal medicine at Monmouth Medical Center during which time he held the role of Chief Resident. Dr. Eichman completed his fellowship in cardiology through Seton Hall University.